The 2013 season was a very busy and successful year for the Rotax community in the United States. The many US Rotax Max Challenge programs throughout the country welcomed new and old faces to the program, all racing to be part of the US Rotax Grand Nationals held this past year in North Carolina. Many Americans performed well at the Pan-American Challenge in October, leading to the best results ever for Team USA at the Rotax Grand Finals this past November in New Orleans. There is no better time then now to become part of the Rotax family, with the new So-Cal Rotax Challenge and the MAXSpeed Group providing some great incentives for would-be racers to make the jump today. The new Southern California US Rotax Max Challenge program and the United States distributor of all Rotax products have joined forces to create a lucrative incentive program for new Rotax racers in the area. New Rotax customers, who were not US Rotax Max Challenge members in 2012 or 2013, are welcomed to purchase a new Rotax engine from any participating dealer of the program. Once they register the engine for a Rotax warranty and become a US Rotax Max Challenge member, the customer will receive a free set of Mojo tires. Following the completion of the So-Cal Rotax Challenge, those customers that purchased an engine through the program and raced in at least six of the eight series races will receive a rebate check from MAXSpeed. This rebate will be for approximately 20% of the purchase price – equaling about $500-$725 depending on the engine configuration. A number of Southern California-based businesses have pledge their support toward the 2014 So-Cal Rotax Challenge, the only series in Southern California that racers can earn their necessary punches toward participating in the 2014 US Rotax Max Challenge Grand Nationals, set for Miller Motorsports Park on July 15-20. Nash Motorsportz, Phil Giebler Racing, Tru Tech Racing Engines and Full Throttle Karting will be the participating dealers in the Rotax Trigger Program. All four, along with the So-Cal Rotax Challenge and the MAXSpeed Group, have invested in this program to ensure its success. 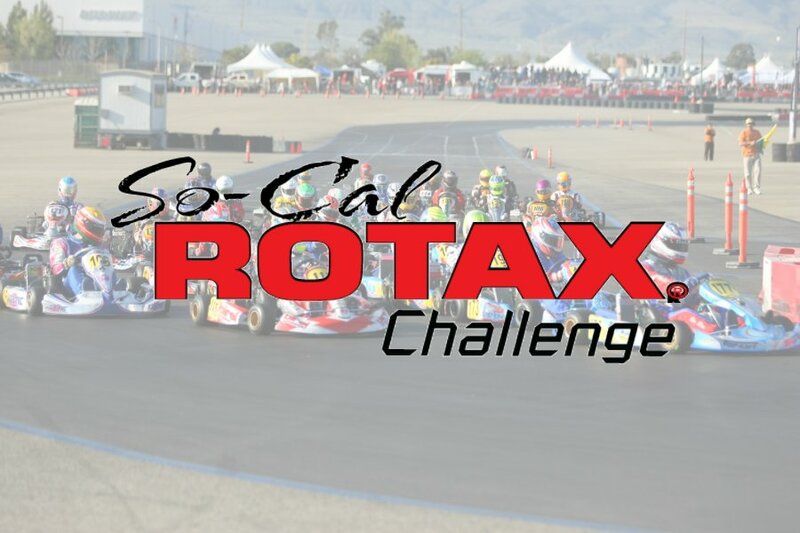 Information regarding the So-Cal Rotax Challenge can be found at the RotaxChallenge.com.